Wisconsin Gov. Scott Walker told Breitbart News in an exclusive interview over Memorial Day weekend that he’s getting much closer to a decision on whether he’ll pursue a presidential campaign in 2016, a decision he expects will come in early July. Walker is currently the clear frontrunner in the Republican primary in 2016 according to most polls—in many early state polls he’s got a double digit lead—and when asked why he thinks that’s the case, Walker said it’s because he’s someone who delivers results. “Back in January remember when I was one of the speakers at the Citizens United-Steve King jointly sponsored events in Iowa?” Walker said. It was something some called a breakout speech. I think all it was was me just talking as I’ve done many times before on the stump the last four years when we won three elections for governor. The last two were obviously pretty intense. I think what happened was once there was all that big coverage by many in the media about this being a big deal, my personal belief and I think of many who are supporters, is there were a whole bunch of right-leaning Republican primary voters who had watched what we’ve done in Wisconsin the last four years but didn’t know if we were credible in terms of a potential campaign. I think once word got out about that speech—at least there was attention given—then I think there was a whole wave of voters who said, ‘yeah. I like that guy. He doesn’t just talk about it.’ As one Tweet said in Iowa, ‘I like Scott Walker because he fights without caving.’ I think there’s this incredible sense, particularly amongst our base and primary voters is they don’t want someone who just talks about it. They want someone who can do it. Due to God’s grace and circumstances, we’ve been able to show time and again that we can fight and win on issues that matter to everyday conservatives. 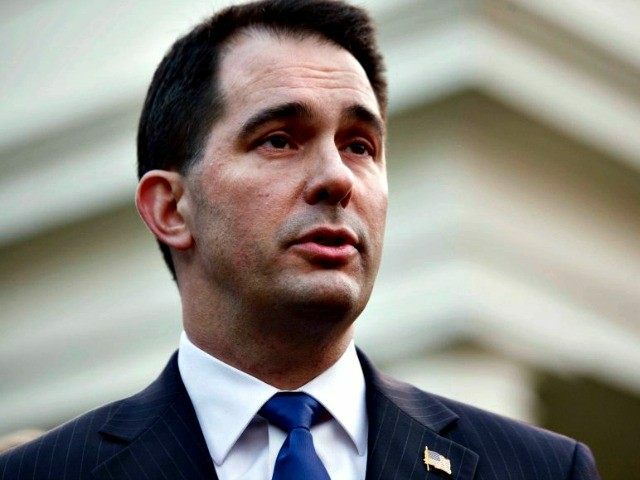 Walker also told Breitbart News about his recent trip to Washington, D.C.—the belly of the big government beast–where he met with and dazzled more than a hundred Republican lawmakers as well as with conservative movement leaders. Walker said that if he’s elected president in 2016, he’d aim to severely cut back on the size and scope of the federal government—and he touted his experience battling the unions in Wisconsin as having prepared him for what’s necessary to do that. “For me, what I learned from what we did four years ago in Wisconsin, is you got to strike early,” Walker said. 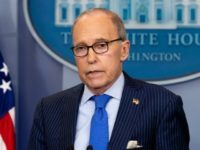 “The longer you wait, the more you get the excuse that ‘we’re too close to the next election you can’t do that.’ I’d like to take huge chunks of the federal government and send it back to the states. For years people have talked about Medicaid—that’s a good start, to block grant that. But I’d take major social service programs, I’d take transportation and infrastructure, workforce and development, environmental protection, and heck I’d take education and instead of spending each of those down from Washington where the federal government skims off huge chunks of mopey and sends pennies on the dollar back to the state governments, why not keep those dollars back in the states where states can be more effective, more efficient, and certainly be held accountable to the hardworking taxpayers? This is the first of three parts to Walker’s interview with Breitbart News. The majority of the nearly 30-minute interview focused on Walker’s recent trip to Israel where he met, among others, Prime Minister Benjamin Netanyahu, and other things that Walker discussed include his views on immigration and national security matters. The rest will be coming soon this week.